January 30th, 2011 - ♥ Addiction. ♥ Family. Friends. Coffee. Corgis. Dogs. Adobe Photoshop. Pretty pictures. Colorful things. Sweet sugary candies. Inspiring quotes. Meaningful lyrics. Creative drawings. Good books. TV shows. First up, HELLO HOLIDAYS! Currently on my Chinese New Year holiday break, WOOHOO! Of course, with holidays, there must always be homework D: Ugh, too lazy to even start on them, but hopefully I’ll get there soon enough. Anyway, I seriously have a thing for criminology shows. But Criminal Minds is definitely something interesting for me (and I must applaud CBS for creating amazing crime shows including NCIS of course!). Not gonna lie, at first, I was definitely sceptical about the idea of this show, I had watched a few episodes few years back and while I DID find it intriguing, I never stayed long enough on the show to know how it progressed. Fortunately enough, thanks to FOX Channel on Astro, I’ve managed to start watching a few more episodes and I thought “Hey, this isn’t so bad after all!”. Also, added with Wei Kin dumping Season 5 episodes into my external harddrive, THE TEMPTATION TO WATCH HAS PRESENTED ITSELF :O Seriously, during the December holidays, the current shows were all on hiatus and I had nothing else to watch, so knowing me being a TV addict....I had to watch SOMETHING. Pros: Incredibly unique cases, enough said. If you think trying to catch a killer by studying how they think is intriguing, the cases in every episode is even more intriguing. I would have to applaud the screenwriters for coming up with so many different types of scenarios which is all unique in every episode. I mean, you might have wonder, “Isn’t it all like serial killers, rapists, kidnappers etc? How much different can it be?” . And THAT is where Criminal Minds owns it all. I’m baffled at every episode they aired, covering various grounds in so many different ways; each different from the previous episodes. And most importantly, team dynamics. Nothing describes a show better than the team in charge. I’m just gonna put it out there and say, DAMNNNN. AARON HOTCH MAKES A GOOD TEAM LEADER. He’s so ridiculously calm in every situation that it scares me, LOL! And I love Reid, the geek of the show (oh, how I love when there is always a geek in the show :D). 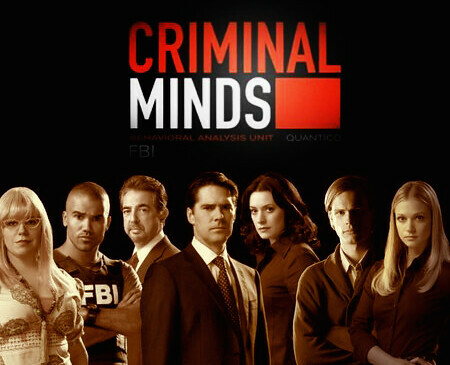 And with the rest; Morgan, Garcia, Prentiss, Rossi; all of them just form this awesome team which kickass. I was really sad that JJ left the show, a grave mistake by the producers, seriously! Oh, and also, GREAT CLIFFHANGERS FINALES. Cons: The only drawback to this show is how GORY, SCARY, DISTURBING IT CAN BE. Some of the episodes are literally like horror movies squeezed into 40 mins episodes! There are times where I had to shut my eyes in scenes that were too disturbing for me. Definitely not meant for the weak hearted. AND THIS IS A RIDICULOUS LONG POST ON A TV SHOW. I tend to get really lengthy when talking about TV shows, so yeah.